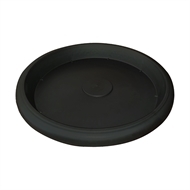 REKO plastic saucers compliment the REKO Growers Pot range, ideal for gardening beginners and experts alike. Perfect for your own plantings, propagation and other applications, these pot and saucer combinations suit most potting needs. This 500mm saucer is designed for the 85L REKO Growers Pot.